Nevada has 61 designated opportunity zones, including 60 low-income communities, plus 1 non-low-income contiguous tract. Nevada is a highly urban state. Statewide, 89 percent of the state’s census tracts are urban. 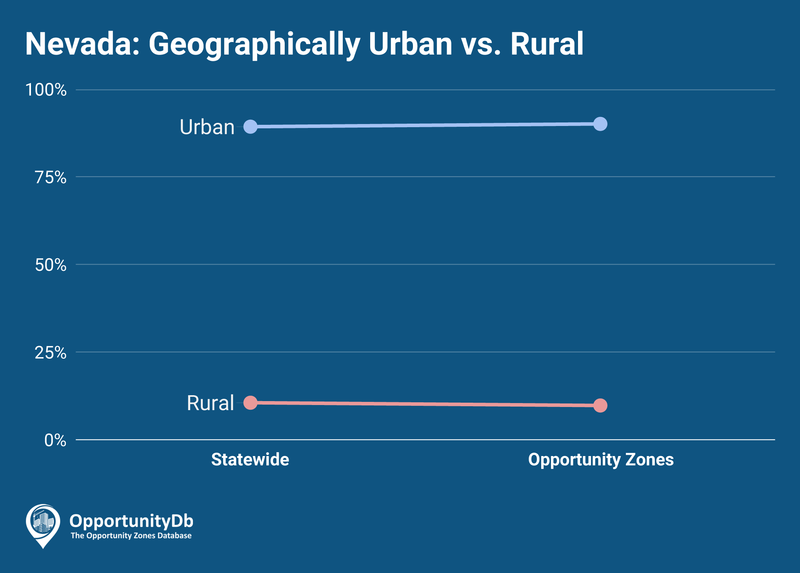 As such, the vast majority (90 percent) of their opportunity zones are located in urban areas. The Las Vegas area is home to approximately two-thirds of all of the state’s opportunity zones. The southernmost part of the Las Vegas Strip, the McCarran International Airport, and the site of the new Las Vegas Raiders football stadium are all located in opportunity zones.